Have no doubt about the fact that you are not other than the consciousness which is the Self illuminating the modifications of the mind. The essence of Vedanta examines issues of existential philosophy from the viewpoint of the Vedas, the most ancient and sacred of Indian scriptures, and also outlines the work of Sankara, the early medieval master of Vedanta's dominant form, Advaita. 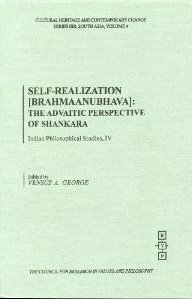 The foundation of all Vedic teaching lies in the universal truth that human nature reflects God (Brahman), who exists in every living thing. An individual needs no salvation therefore, because he or she is never lost, but merely living in ignorance of his or her true nature. Question: How does one discard all the suffocating rules and manmade rituals (of the present Sahaja Yoga organization) never initiated by Shri Mataji and seek her (Holy Spirit/Adi Shakti) only in the Sahastrara (Kingdom of God)? Question: Despite being years in Sahaja Yoga I do not agree with what our leaders are doing. I am thinking of leaving my collective. Can you suggest something that will help me continue on my own? Question: I am a Muslim who absolutely am against worshipping of any idol or image. How then is Sahaja Yoga and Shri Mataji compatible with Islam? Question: We are devout Christians who are very uncomfortable with Hindu rituals, and see the same in Sahaja Yoga. Is there any way we can do without such rituals? Question: You loudly claim on your website that all religions and holy scriptures preach the same message. I don't see such evidence. What have you got to say? Question: I do not want to meditate on anything non-Christian but agree that the Holy Spirit is feminine. 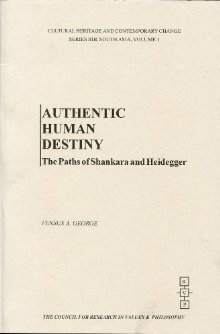 How do I only worship the Holy Spirit but not the Adi Shakti? Question: My parents and husband are against worshipping Shri Mataji. How can I solve this serious family problem but still continue to practice Sahaja Yoga without their knowledge? Question: I completely agree with your belief that if you have to take a single step in any direction to seek the Divine you are going the wrong way. How and why did you reach this incredible conclusion only now despite spending so many years meditating, checking the scriptures and listening to Shri Mataji's speeches? Question: How can we spread Shri Mataji's message successfully? So many have failed all these years and Sahaja Yoga is very slow. Most of the seekers have never heard of Shri Mataji. Other than Her Divine Message what can we teach new seekers that will attract them? Question: I do not want to follow any religious organization or yoga teacher but still am interested in spirituality. You think that is possible? Question: My mother-in-law is totally against Shri Mataji and regards Her as just another false guru. But I know Shri Mataji is the Adi Shakti and want to continue. However, i do not want to antagonize my mother-in-law. Any suggestions? Question: I am a Sikh. I am completely against any Hindu ritual or worshipping of their idols and gods. Sikhism is completely against such practices. But Sahaja Yoga is also so full of such rituals and gods. What have you got to say, being a Sikh yourself? Question: I am getting somewhat ridiculed for my own spiritual experiences regarding the crown chakra and the divine feminine. People think I'm weird by emphasizing that the Devi is the true nature of brahman and it is creating doubt about my path (despite my own experiences). Should I continue with my meditations and ignore them or try to explain to them? What do you suggest? Question: There is so much information about yoga and meditation. I am so confused and do not know which path to take. What then is the truth? How do I attain it? Question: I have been in Sahaja Yoga for years but still do not know what is Self-realization. Can you tell me in detail what you understand by it? Question: I have been a SY for many years and some of us find shoe-beating and some rituals quite absurd. You also are against them. How then can we solve our subtle system problems without such treatments? Question: I am a Muslim living in Pakistan who want to practice Sahaja Yoga. But there are no centers here. How can I continue? Question: What will happen after Shri Mataji passes away? Will She still be in the photograph? Where will the vibrations come from then? Question: I have just started meditating on Shri Mataji in the Sahasrara but find it very difficult. Is there a better way? 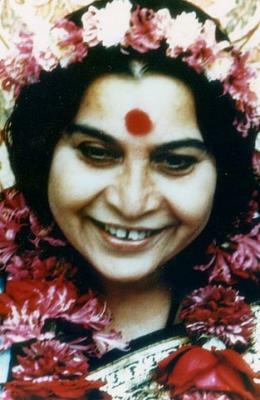 Question: I do not want to join Sahaja Yoga but believe in a number of Shri Mataji's teachings. Can you help me? Question: I am an established SYogini who am concerned at the way the organization is heading. However, I still want to spread Shri Mataji's teachings. What do you suggest I tell others? Question: I want to practice meditation but find it impossible to stop the thoughts. I value you opinion. If you don't mind my asking, but how do you do it? Question: What is the shortest and surest route to realize God? Question: Some religions claim that humans are divine in nature and that liberation is from within. Can you tell me how all this is realized in such a hectic and materialistic world? Question: As a SY I am concerned that after Shri Mataji takes Mahasamadhi there will great grief and sense of loss. How can I cope with this eventuality and continue my faith and devotion? Do I continue to meditate on Her photo even though She is not physically present anymore? Question: Jagbir, you are already telling us to discard Shri Mataji's photo and meditate on Her is the Sahasrara. A number of SYs have been offended by this and have left. What makes you so sure you are right? Question: What is the most profound and deepest enlightenment you have discovered after all these years, based on the teachings of Shri Mataji? She also claims that all religions teach the same truth about the spirit. How is that so given all the religious differences and centuries-old rivalry? Question: Hi, man-made religions, sects and denominations are wide spread. So much misdeeds and divisions are committed and blood is shed in the name of God and religion. Is there a way to make humans realize that they are all worshipping the One and same Creator, no matter how different religious organizations have made God to be? Question: It seems that religions are all preaching about a God that is to be found only in their organizations. Why then is it that the Divine can only be realized through one's own experience? What and where is God then?